"Ah-ha! Another rising star! Welcome to the waste!" 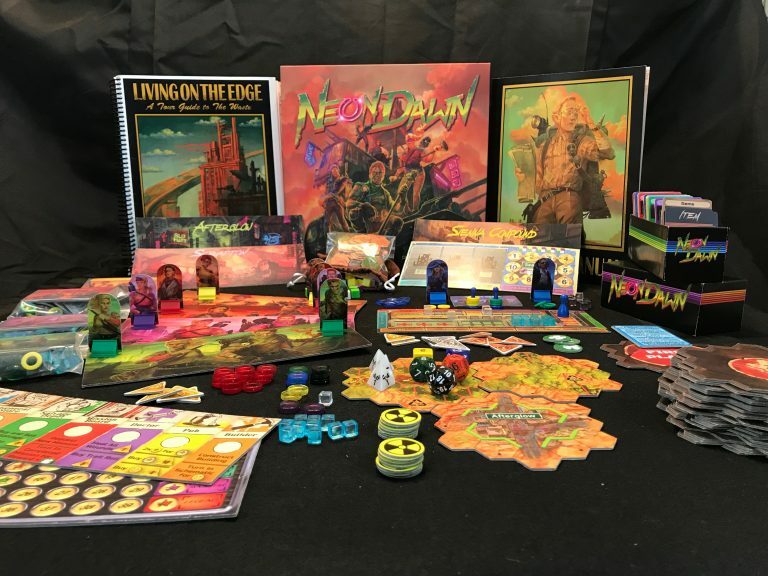 Neon Dawn is a character building, open-world, post-apocalyptic adventure board game for 1-5 players. It is set in the waste, a post-nuclear land steeped in radiation and brimming with danger, adventure, and treasure to be found. The Great War happened long enough ago that no one alive remembers what the world used to be like. Those that still cling to life work hard to simply survive, overcoming challenges within the waste every day. Sounds bleak and dreary, but you have no issue with your current situation. You're naturally suited to this lifestyle, and have already begun to make a name for yourself. However, local celebrity status is just the beginning. Your goal is to become the most famous wasteland adventurer, ensuring your name will forever be enshrined in wasteland legend! 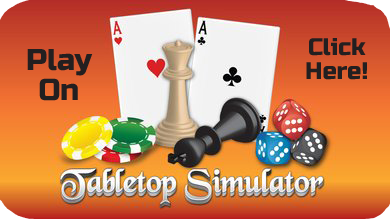 Neon Dawn is available to play now on both Tabletop Simulator and Tabletopia, so please check it out if it looks interesting! Subscribe to our mailing list for a chance to win a preview copy of Neon Dawn! and a little about me! There are many companies out there with goals to control a market, or dominate the competition. Caldwell Games is not one of those. Instead, Caldwell Games has an overarching goal of "World Elevation". What is World Elevation you ask? World Elevation is making the world tomorrow a better place for everyone than it is today. It's a goal that is always worth chasing. My name is David Caldwell and I have been involved in gaming my entire life. When I was young, I gravitated towards video games with a few dabbles in board gaming, but as grew older, board gaming emerged as my preferred play medium. Since then, I've played tons of board games with so many amazing people! One day I had an idea for a board game rattling around in my head and it was just stuck there. The only option was to sit down and start putting the idea on paper. Needless to say, it passed the initial tests and been in development for over a year. Countless play testing sessions with fantastic tester feedback has refined the original idea into the immersive and engaging play experience that Neon Dawn has become. 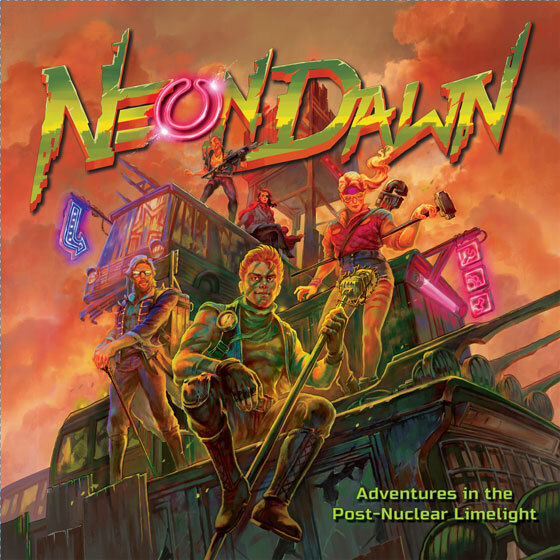 Neon Dawn is a labor of love and I hope you will join me in this wild adventure of self publishing a board game. The Kickstarter campaign is scheduled for October 12th through November 12th 2018!